Photographs and links. Saucier, Mississippi. Provides pastors welcome and biography, schedule of services, and contact and location information. Contains pictures, dates, and times. Located in Saucier. Proceeds are donated to the Center for the Prevention of Child Abuse. SiteBook Saucier City Portrait of Saucier in Missisippi. 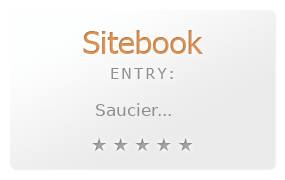 This Topic site Saucier got a rating of 4 SiteBook.org Points according to the views of this profile site.